“The book, titled How To Be Invisible: Selected Lyrics, will be published by Faber on 6 December this year, with an introduction by the author David Mitchell, who previously wrote three spoken-word sections for Bush's 2014 Before The Dawn performances. Mitchell said: "For millions around the world Kate is way more than another singer-songwriter: she is a creator of musical companions that travel with you through life." He added: "One paradox about her is that while her lyrics are avowedly idiosyncratic, those same lyrics evoke emotions and sensations that feel universal". Not only is the book a great Christmas gift (the book’s title is also the title of a song from her 2005 album, Ariel) but it does make one wonder what form it will take – will we see illustrations and which songs will be included? I am thrilled there is something out that is non-musical. We have been holding out for news of a new album but I think, importantly, we are being treated to a book of lyrics. I would imagine her best-known tracks will make the cut but one feels this is a chance for a real retrospective and look into her creative mind. We look at those extraordinary videos and are beguiled are stunned by their physicality, beauty and unusualness. All of us can name a list of Kate Bush songs and will sing along to the lyrics when we hear them on the road. Tracks like Wuthering Heights and Running Up That Hill (A Deal with God) are etched into the memory but, if we heard more of Bush’s music on the radio, we would be singing along without realising! Being a super-fan; I know most of her songs by heart but I feel one of the reasons I have become so involved with her music is because of the words. Her music transformed and evolved from her debut album, The Kick Inside (1978) and consider the themes explored on 2011’s 50 Words for Snow. The arc and progression is evident but, on every album, you get a different feel and sensation. Even from the beginning, Bush was tackling subjects such as childbirth and menstruation; the maturity of the love songs and the way she could bend words and employ unusual phrases put her on a platform all of her own. We have her albums and, on many of them, there are lyrics in the linear notes/booklet. With her vinyl being hard to get hold of – you can buy them on Amazon but they are pretty pricey – it seems now, more than ever, is a great time to release a book of lyrics. Kate Bush is one of those artists who loves the album concept and, as such, goes to great lengths to craft stories and songs that link together. If we only associate her Wuthering Heights or an album like Hounds of Love then we are only getting a portion of what she is about. The cloth-bound book will, one feels, bring together a chronological narrative of her music and, one suspects too, there will be images and stylised words. Given the fact most of her songs were not given a music video, I wonder whether How to Be Invisible: Selected Lyrics will be a storybook where there are pictures and a series of images to score each song. In any case, I feel Bush has broken new ground. Faber & Faber have not released a book of lyrics from a female artist before – she is, once more, breaking new ground! Many of are still blown away by the maturity one finds on her first couple of albums. Songs like The Man with the Child in His Eyes and Wuthering Heights were written years before the album was released – the former, I think, she wrote at thirteen! – and one is intrigued to see those words on the page. How did someone so young and new to music manage to weave and create such spellbinding lines and images?! There was a lot of good music in 1978, when her debut came out, but most of the mainstream were focusing on the same things: love and relationships and the sort of thing that dominates to this day. Kate Bush was writing about that but she was not willing to pen tropes and lazy lines. Her way with words and how she wanted the listener to immerse themselves in the music comes through. Every album you listen to; you get that amazing voice but are compelled to follow the words and imagine. Tough and political themes are present on records like Never for Ever and The Dreaming; she would explore issues around the displacement of the Aboriginal homelands and its destruction (The Dreaming); a foetus fearing nuclear war (Breathing) and a mother watching her son go to war to die (Army Dreamers). How many artists do you see today that consistently explore hard-hitting and weighty topics on their albums?! Maybe they will address something unique now and then but, for the most part, you know what to expect. 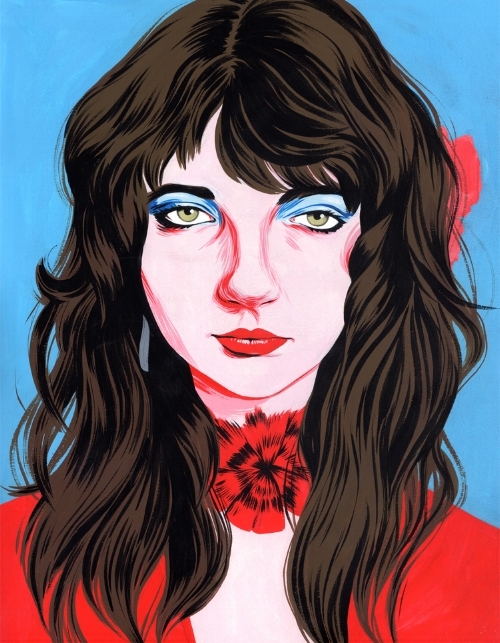 A lot of artists write about what they know/live but Kate Bush is more like a novelist. She can weave fantasy and the cosmic with the natural world and affecting images. The more we listen to music through the Internet and stray away from vinyl – we still absorb them a lot but they are in the minority – the less we are remembering lyrics and placing importance in them.